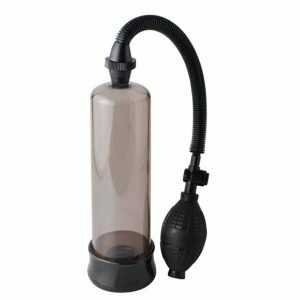 Pump up your soldier to a full and satisfying salute with the Commander USB Rechargeable Electric Pump. Just slide your Johnson into its 7.5” x 2.5” pump chamber. Three soft sleeves of varying sizes fit onto the end, creating an airtight seal that focuses all that suction right on your rod. Press and hold a button and watch as the pump’s rechargeable motor pumps you up to a totally massive erection. 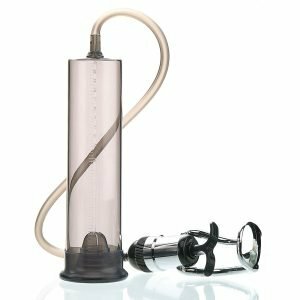 Rechargeable – it’s the easiest, most intense way to pump! Finally, there’s a rechargeable pump that’s so easy to use and so powerful, too! 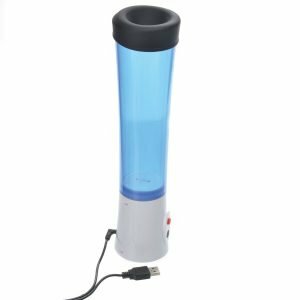 The Commander USB Rechargeable Electric Pump takes all the power of manual trigger-handled pumps and makes it as easy as pressing a button. To feel the power of the Commander, select one of the soft silicone sleeves from the 3 included and put it over the open end of the pump. This helps create an airtight seal that concentrates all that suction sensation where you want it. 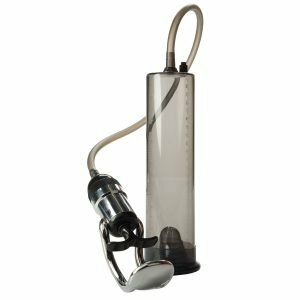 Get nice and slick with your favorite lubricant and slide yourself into the pump’s main chamber. Now just press the gray power button. You’ll feel the suction surge around you. Hold the button to keep the suction going. Through the chamber you’ll be able to watch your progress as the pump works its magic. Keep going until you’re at maximum size, or enjoy experimenting with bursts of suction and release to explore different sensations. 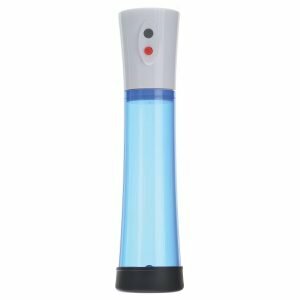 You can release the Commander USB Rechargeable Electric Pump’s pressure at any time by pressing the red button underneath the power button. Recharge your Commander Rechargeable Electric Pump by plugging the included USB charger into the marked port on the back of the pump. Your pump will reach full charge in about an hour.